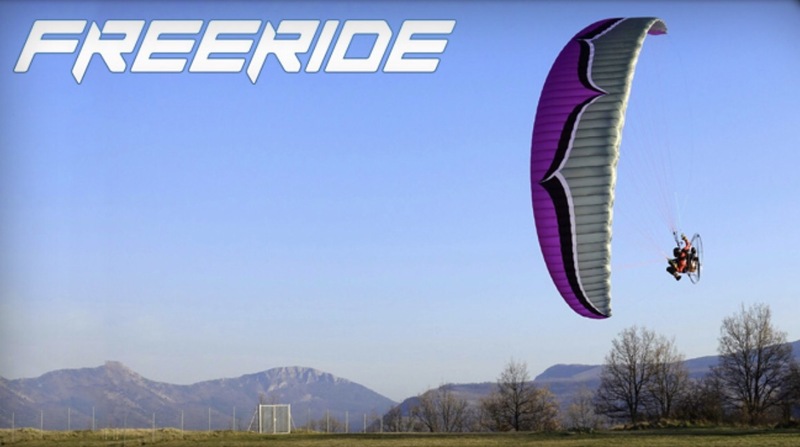 The FREERIDE brings a new level of agility and dynamic handling to the intermediate-advanced class of PPG wings. This exciting new design delivers the legendary speed, precision, and efficiency of the OZONE VIPER series, plus the handling and agility of the OZONE SLALOM. The mission of the FREERIDE is to elevate excitement without compromising comfort and stability, and it features the dependability and ease of use that our intermediate range wings have become known for. Whether you are focused on competitive slalom flying, classic competition, or just carving aggressive lines, the Ozone FREERIDE is a fun and efficient high performance wing that delivers the goods. APCO’s new 18 and 20m slalom racing wing. http://www.flyparamania.com Paramania team pilots Dean Eldridge and Sylvain Moisseron take the new GTR out for a slalom in the beautiful mountains of South Eastern France close to Annecy and where Coupe Icare is held every year. Watch the exciting action as these two pilots swoop and slingshot themselves around and over trees and bushes. Filmed with four cameras from different angles all of the time using GoPros and Sony Digital HD cameras. The GTR is available now to advanced pilots, in sizes 18, 20 & 24m complete with an 8m racing pylon to practice with.